We offer our clients with an exclusively graded variety of Dolomite. These are processed using desired methodologies and using suitable machinery. Pitch bonded. Resin bonded and hr, d DoIomt. and Magnesia enriched Dolomite bricks for Cement, Steel and Stonless Steel application. 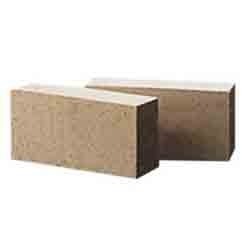 Fire Bricks, Size (Inches): 12 In. X 4 In. X 2 In. 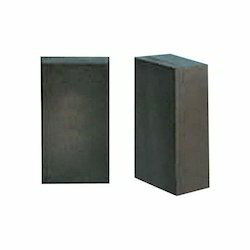 ACC brown Dolomite Bricks, Size: 12 In. X 4 In. X 2 In. We are engaged in offering a quality approved range of Mineral Dolomite. Owing to our skilled team of professionals, we have emerged as a renowned firm of an assorted range of Diaspore Lumps. Pitch bonded, Resin bonded and fired Dolomite and Magnesia enriched Dolomite bricks for cement, Steel and stainless Steel application. • MgCO3 ------------- 35% Min. • SiO2 --------------- 1% Max. • Fe2O3+Al2O3 ------- 1.5% Max. o It is crushed and sized for use as a road base material.